Discussion in 'Dovetail Live Article Discussion' started by TrainSim-James, Aug 13, 2018. Can Train_Sim Steve, or, someone else, please explain why on certain routes we still start underground, old routes and current ones, after 11 years this has got beyond a giggle, and in the yearly upgrades it never gets resolved. Do you mean in the scenario editor? In the actual game, I've never started underground, unless of course the tracks go there. Canis_Lupus certainly access to a Beta would be good but I wonder if the DTG delivery via Steam might get in the way of that? It wouldn't. Unturned used a 'beta code' or something before version 3 of the game was released. Players opted in by typing that beta code and it would overwrite version 2 of the game. JFH interesting, but isn’t ‘Unturned’ for the most part a free to play game, which is certainly different to TS? That's true. I'm just talking about how Nelson accomplished allowing people to 'test' version 3 of the game. There's nothing to say that DTG couldn't do this but I still think they need to consider if an open beta would really help them. IMHO, I don't think it would. it's probably going to be released in the next few weeks, so there's not really a lot of time to 'test' it. For all we know some popular YouTubers (no names) in the community may have access to it already, but who knows? I'm really not too bothered about having an open beta for the game. I'm already busy making up lists of things I want to do in TS2019. Full run of the Night Riveria anyone? I have a question, now that TS2019 will be in 64 bit, will there be a chance for 3Ds Max 2019 Exporters for those who are building content with this since the student version of 2015 is no longer available to the 3D modeling community? I would be nice to be able to keep building content for Railworks with newer improved versions of 3Ds Max. There are certainly things I'd personally like to see improved or re-engineered to further extend Train Simulator's capabilities and 64-bit will certainly be of benefit to enabling these things. So yes, 64-bit may open up things that we weren't able to do before. Which features you would most like to see enhanced or improved in Train Simulator. Are there things that Train Simulator currently doesn't do that you'd like to see? Awesome to see developer/user interaction on this level. Kudos, i hope we don’t burn you out with feature requests. 1; Placing and viewing AI spawn points in the 2d editor when making quick drives. Would make it faster when i am doing Real Drives. 2; Making portals insertion on scenario level when making quick drives. Like the way you can put in extra destinations. Some routes are well equipped with portals but others are very sparse. 3; The most important change to me: When making a Quick Drive: The ability to assemble a train in the editor and then making it an AI train. Why: well firstly some routes do not have any trains in their blueprint so that means they can have no AI traffic in quick drives. And other developers have very funky tags on the trains that they do have in their blueprints. And after all, why the blueprint limitation for qd scenarios when a train assemblef of any asset can be an AI train in other scenario types? How this could be done in the editor? First assemble a train, place a driver icon on it, doubleclick the icon and then the ai menu that is in quick drive spawnpoints could appear. The most important thing that menu ofcourse being the route and stops of the train and the probability that it will spawn. Elegant and easy solution. The distance at which assets appear. Sometimes an empty landscape gets filled with trees etc in front of you. If the range could be expanded with a few km it would greatly improve realism. It would ofcourse come at a price in cpu cycles so it could be a slider option. The distance at which shadows are drawn. For the same reasons as above. Computing: Support for more than two cores. If possible the ability to use multi screen monitors and if not possible at least the ability to move around the HUD's either driver aid (F3 key) or drive joke levers (F4 key) or if not possible a reworked HUD which will be not so invasive and masking the 3D driver view. Please XD !!! I'd have a small addition to that that would probably be minor work, but have a great impact. I would recommend a different or chooseable font colour for the F5 Hud, as the white currently used is good at night or against dark backgrounds, but If there is sunlight or a very light background there are times when you can hardly read it. How big will this update be and how much space will I need on my hard drive? My TS drive is getting pretty full as I also have TSW on it too. Will I have to move TSW to another disk to make space? I know i have to move it eventually but it's knowing how to tell STEAM that I've moved it. Has their been any more info on what TS19 will include or when its released? This article talking about the 64 bit upgrade seems to be all I can find, nothing about roughly when its going to be released. No release date, no news on any new routes or vehicles. Only that it's 64 bit and "coming soon"
There hasn't been a new blog post about it, other then this one. Steve did answer some new comments at the end of August. Hope to see a new blog post indeed with some more details. Since it was announced I have been wanting it more then ever since some scenario's are just packed with stuff, really great, but you have to play at a lower quality setting because otherwise the memory would exceed the current 32-bit limit. As it is with the case of the latest Frankfurt High Speed release. Luke mentioned they were aware of the temp dumps and recommended to turn the quality slider more to the left, otherwise you run out of memory. For optimal use of that route, you need 64-bit. So, hopefully a new blog post in the near future detailing more about it. There has been some time since the announcement ... is there a release date soon? Really, the one who waits hopes, we want this update to continue enjoying this game. I agree with whomever suggested the possibility of inserting portals at the scenario editing level. I've often thought, as well, that being able to insert interactive objects such as loaders at the scenario editing level would be helpful, especially since DLC routes often contain inactive loaders. The ultimate goal for me as a scenario maker, however, would be the possibility of fully activating turntables; that is, being able to drive an engine across a turntable using a StopAt or GoVia instruction for that purpose. This should extend, logically, to being able to place a track marker on a turntable bridge. Myself and other scenario makers have discovered ways to work around this unfortunate limitation, but a legitimate solution would be much more welcome. If these things can be accomplished in TSW, why not in TS? Knud Berggreen no update, but then that’s rather DTG’s modus operandi with game developments. Last year’s TS2018 came fairly late in the year, in mid November, so as 64 bit comes as part of TS2019 perhaps a similar date might be a reasonable guess. The wait is a little frustrating. I’m sure I’m not the only one discouraged from starting anything too big on the basis of when 64 bit is available it’ll be possible to do a much richer job. However hopefully it’ll be worth the wait. There’s an interesting discussion on the Steam forum at the moment (‘More RAM for 64 bit TS2019’) which speculates on what levels of improvement might be possible. Again, speculation, but there are some informed opinions on how significant the change might be and how hardware is impacted. The Steam forum is noticeably less ‘Wild West’ these days with less verbal gun slingers present. A victory for the improved moderation by DTG I’d suggest. On the download size, it is difficult to work this out right now but, an educated guess, I'm confident it will be in the region of 1 GB which covers all the additional resources and whatnot that 64-bit needs (as well as some new installers for the dependent redistributables). 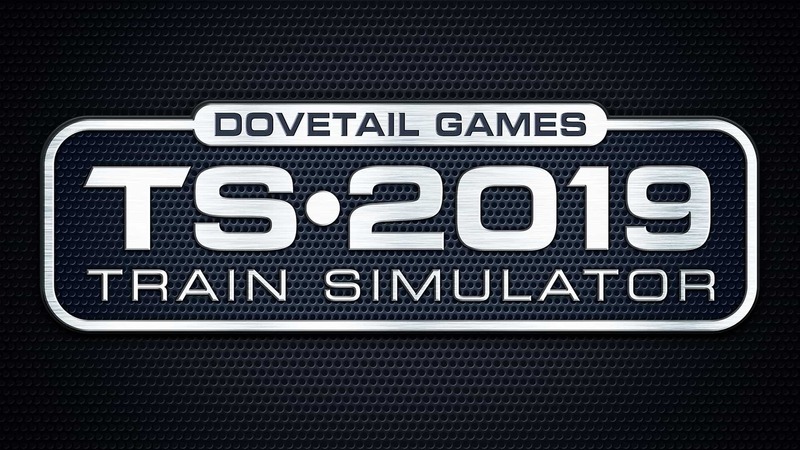 As perhaps the single biggest feature request for Train Simulator since it came to market all those years ago, we’re excited to announce that Train Simulator 2019 will include Train Simulator 64-bit. The advantage of buying the TS19 package is that it costs less than an individual route. Based on previous years, the new package will cost $40 USD, or the cost of a single route included in the package. Frankfurt-Karlsruhe is $45, Helper-Salt Lake City is $45, and the PDL is $40, meaning that even if I own two out of the three routes but none of the extensions, I can snag it all for just $40. The base package since 2012 has only had two exclusive routes - Riviera in the 50s (TS16) and North Wales Coastal (TS18). Every single other time it has been repackaged routes that are already on the market. hey DTG question can there still be improvements over the world editor? Will be glad to see updated Gradient tool, allowing precise values during EDIT MODE (not laying the new sections). Thanks. Laying tracks in TS (especialy, junctions with gradients) is a piece of terrible headache. The advantage of buying the TS19 package is that it costs less than an individual route. Assuming the buyer wants the additional routes that game will come with. I have 10.1 Gig of space left on the drive so more than enough even with the purchase of 2019 for the extra routes I hope. Great to hear about TS going 64-bit. Do we have to buy TS2019 to get TS into 64-bit or will the 64-bit be part of a upgrade? From 64 reasons to Play Train Simulator, No.8 The Release Date. "Train Simulator 2019, the extra editions, the free update to 64-bit and other improvements will be available October 11th, 2018!" My only question is: Will this stop or help the obvious slowdowns that are experienced when the game loads a new section of the map into memory? Will this stop or help the obvious slowdowns that are experienced when the game loads a new section of the map into memory? From my experience, developers will always push the boundaries, so whilst TSx64 will probably load existing routes and consists more smoothly into the new free available memory addresses, I'm sure people are already making much more saturated routes and scenarios which will fill this gap. And ultimately the loading of forward attributes is based on the speed of the slowest component which is often the hard drive transfer system unless you've got a PCI based SSD. I'm not sure its fair to blame HDD's for the slowdowns. Most engines can handle level streaming using at HDD in a way which rarely affects the FPS. The issue is more likely the way in which the engine is loading in these assets. In my experience, the engine currently both removes and loads in huge chunks on the map in one swoop. If you compare this to TSW which runs on UE4, you won't see any of these slowdowns with an even greater graphical fidelity. By adding more memory available to TS, surely these chucks could be loaded differently allowing for less of the slowdowns. surely these chucks could be loaded differently allowing for less of the slowdowns. 64bit works well for me on my underpowered and unsupported laptop. I'm a TS newbie since November so I can't compare it to the previous versions but I've done over 100 hours with no crashes - thank you!